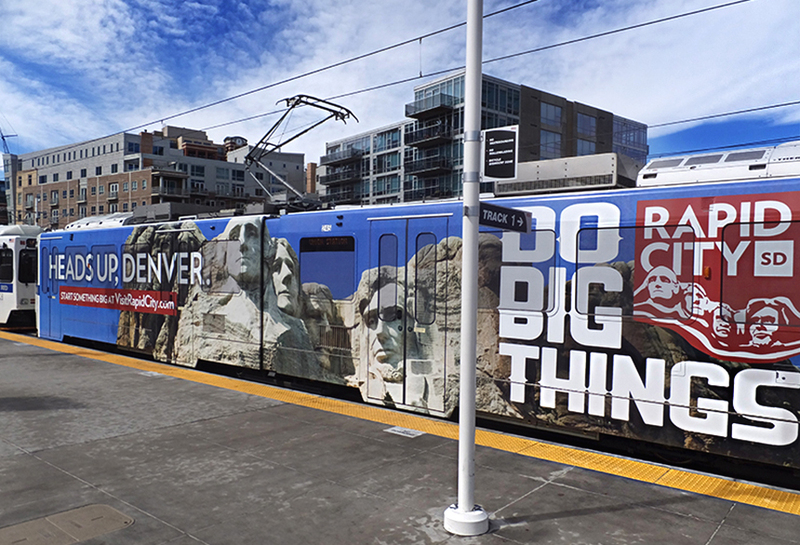 VisitRapidCity.com used Lamar's rail transit inventory in Denver to boost tourism. The creative featured playful copy aside South Dakota's most iconic tourist attraction, Mt. Rushmore.